Preheat oven to 180°C. Spread the brioche with the butter and place in a 21cm x 11cm (1.5-litre-capacity) baking dish. Place the almond milk, eggs, vanilla, sugar and orange rind in a bowl and whisk to combine. Gradually pour the mixture over the brioche and allow to stand for 10 minutes. 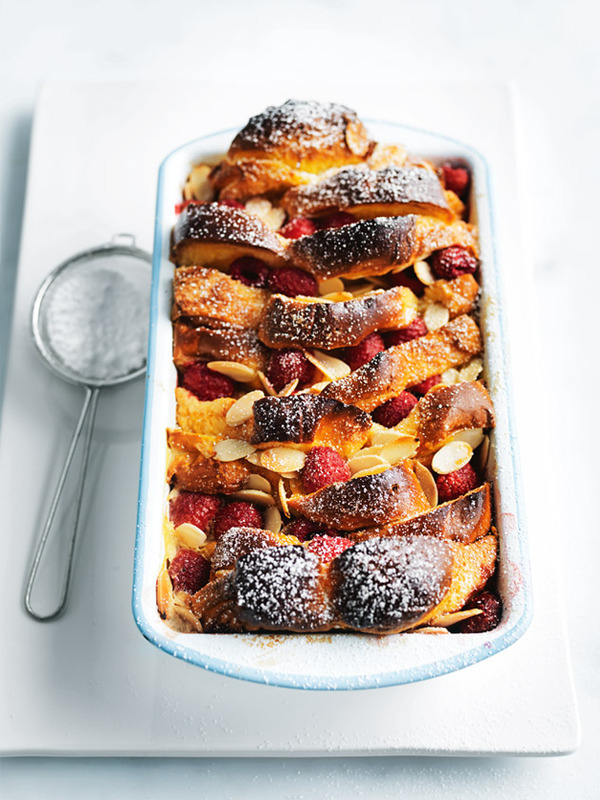 Top with the raspberries and almonds and sprinkle with extra white sugar. Cook for 30 minutes or until golden and just set. Allow to stand for 10 minutes to cool slightly. Dust with icing sugar to serve. Serves 4–6.